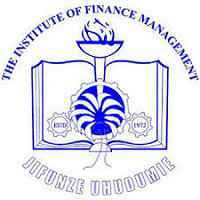 The Institute of Finance Management (IFM) was established by Act No. 3 of 1972 to provide training, research and consultancy services in the fields of banking, insurance, social protection, taxation, accountancy and related disciplines. Perform any other assigned duties. A Master’s degree in Banking and Finance, Finance, or Finance and Investments from recognized higher learning institutions with first degree of minimum of a GPA of 3.8. This position holds salary scale of PHTS 2 and other fringe benefits offered by the Institute. All applicants must be Citizens of Tanzania and not above 45 years old. Applicants must attach an up-to-date current Curriculum Vitae (CV) having reliable contact postal address, e-mail address and telephone numbers. The title of the position applied for should be written in the subject of the application letter; short of which will make the application invalid. -Postgraduate/Degree/Advanced Diploma/Diploma/Certificates. -Postgraduate/Degree /Advanced Diploma/Diploma transcripts. -Professional certificates from respective boards One recent passport size picture and Birth certificate. Applicants for entry levels currently employed in the Public Service should not apply, they have to adhere to Government Circular Na. CAC. 45/257/01 /D/140 dated 30th November 2010. Dead line for application is 18th January, 2019 at 3:30 p.m.